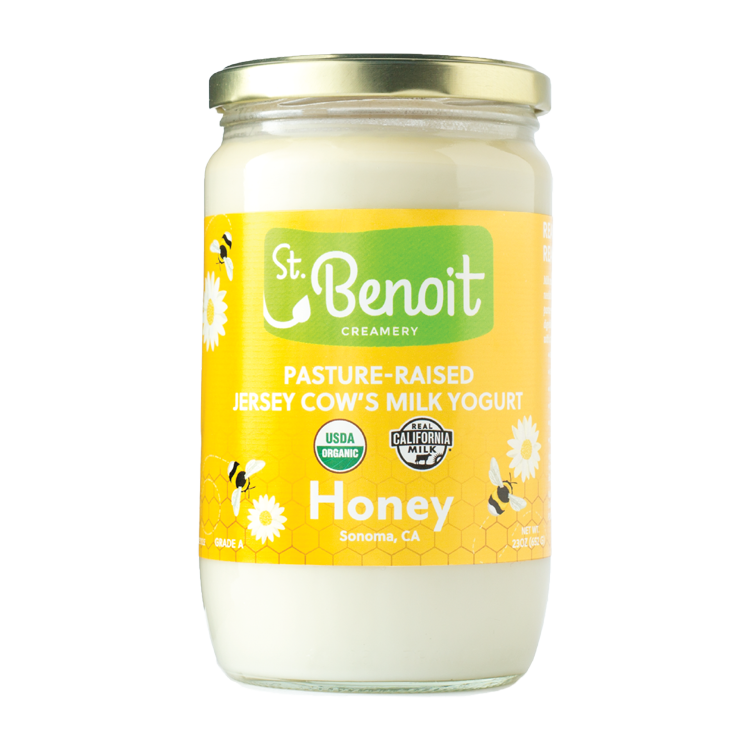 Organic honey & pasture-raised Jersey cow’s milk: We think it’s the bee’s knees. Sometimes you just want something a little sweet. Not too sweet, mind you. Or anything artificial or crazy processed. That’s where our friends, the bees, come in. They create one of nature’s more perfect foods from wildflowers in a designated organic area: Organic Honey. We use just a touch of the golden stuff for our special yogurt from the Golden State..